Our volunteers are dedicated plant scientists who want to do more for their community. There are many things we could not do as well, and some not at all, without our teams of volunteers. And for providing a great service to their community, volunteers get networking opportunities, resume enhancements, build stronger connections to their colleagues and to ASPB and the satisfaction of know they have been a great service to ASPB and the plant science community. Below are ways how you can be an active participant in ASPB. Have another way you want to participate, contact us with your suggestions. Designed by the Membership Committee, this group provides outreach for ASPB’s mission and membership to students, postdocs, industry, and plant scientist in other places. Become an Ambassador and have access to meaningful networking opportunities, help others navigate their career in plant science, educate other plant scientists, and the general public, on ASPB and plant biology, organize campus meet-ups and much more. Learn more about the Ambassador program or apply to become an Ambassador. 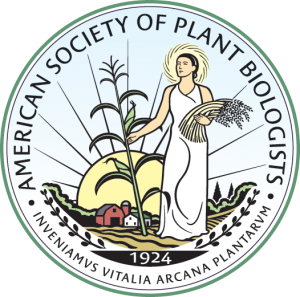 ASPB can only be the active, vibrant community it needs to be for plant scientists around the world with the help of its dynamic volunteer committees and leadership. List of Committees. Interested in joining a Committee, contact the committee chair or the President. Interact with youth, educators and colleagues through hands-on activities and multi-media resources. ASPB participates in many outreach activities throughout the year in many locations. Help ASPB spread the word on the importance of plants and plant research to k-12 students, teachers, and the general public. For more information, check out the Outreach page. Keep up-to-date on activities on the hill and participate in the call to actions. Find out how you can participate in national and local advocacy efforts. Start or join a discussion, join a group, write a blog and contribute resources are just a few ways you can actively participate in the plant science community on Plantae.org, the new community for all plant scientists. All ASPB members get a profile on Plantae and can access all the resources. Log in now.